Ho Chi Minh City considered as the engine of growth in the country’s economy was speeded up by the National Assembly’s Resolution 54 on piloting specific mechanisms for HCMC which is expected to create a big new motive power for the city to solve congestion, develop faster and more sustainably and further contribute to the country, wrote City’s Chairman Nguyen Thanh Phong in the New Year special issue of Sai Gon Giai Phong Newspaper. 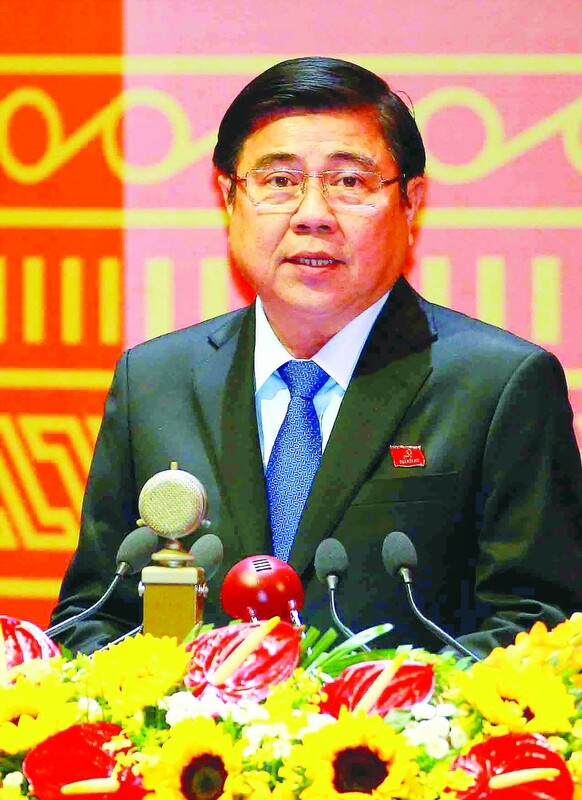 In the threshold of Year of the Dog, chairman Nguyen Thanh Phong generally estimated socioeconomic situation in 2017 and the process of building and approving Resolution 54. The year of 2017 witnessed many hallmarks in the city's development with important and comprehensive socioeconomic achievements. Most industries posted year on year growth rates. Of these, agriculture went up 6.3 percent, industry production index 7.9 percent, services 8.2 percent, total retail sales of goods and service 10.89 percent, export 15.1 percent, international visitors to the city 22.8 percent, tourist revenue 12.6 percent, foreign direct investment capital (FDI) 68 percent--the highest rate in the country. Health, education and training, culture-society were focused on with lot of results. The ratio of poor household reduced 1.22 percent, trained laborers reached 77.5 percent and urban unemployment dropped to below 4 percent. Security and defense were ensured, the ratio of criminal cases slid 8.08 percent and the number of traffic accidents reduced 11 percent over the same period last year. Foreign affair operations were conducted thoughtfully, efficiently and comprehensively. Investment connectivity, integration and international cooperation were intensified. However, HCMC met with many difficulties and challenges, for instance, economic growth was behind plans, assistance for business households' transfer into businesses did not meet requirements, administrative reform was asynchronous. Fast urbanization put much pressure on urban planning and management, technical infrastructures were overloaded. Traffic jam, flooding, environmental pollution and food safety problems were complicated, affecting affected residents’ lives. Despite those, obtained results show the high determination of the city's political system, businesses’ efforts to overcome difficulties and force joining by classes of residents; creating an important premise for the city to develop in following years. The National Assembly’s Resolution 54 will create a very big motive power for the city to implement socioeconomic plans and boost the growth of economic sectors in 2018 and following years with specific mechanisms to untie knots in finance, land, apparatus organization and public administration human resources. In 2018, the city will implement projects to materialize specific mechanisms to develop fast and sustainably, improve growth quality as well as the competitive ability of economic sectors in association with economic restructuring, ensure advantageous and fair investment and trading environment, encourage innovations and startups, develop businesses, synchronously invest in infrastructure system in line with urban planning, traffic jam and accident and environmental pollution reduction and take the initiative in adapting to climate change. In addition, the city will work to ensure welfare and take care of residents’ lives, strongly conduct administrative reform, speed up construction of smart city and e-government, uphold politic stablization, social order and safety, expand and increase the efficiency of foreign affair operations and international integration. The city Party Committee, People’s Council have approved 20 important norms including five economic, 10 social, four environmental and one administrative reform targets. Of these, Gross Regional Domestic Product (GRDP) will reach 8.3-8.5 percent. 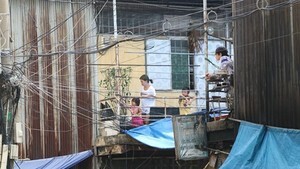 Beside regular measures, the city People’s Committee will focus on five below contents to obtain the targets. Firstly, the committee will take the initiative in issuing plans to implement resolutions of the city Party Committee and People’s Council to materialize Resolution 54 in a timely manner, determine works and projects as well as their implementation progress in three years 2018-2020, clarify responsibilities of relevant agencies and organizations, solve difficulties and rectify shortcomings during implementation process to utmost promote the efficiency of specific mechanisms. The resolution permits the city to pilot the mechanisms in five years; requiring it to review implementation in the first three years and urgently complete projects to submit to the People’s Council in 2018. At first, the committee will submit some projects in the first quarter this year for the council to approve. Some other projects need deep study with the attendance of experts. The city will collect residents and affected subjects’ opinions during implementation process to reach the highest consensus. The municipal government has committed to efficiently implementing the mechanisms to create advantageous development environment towards sustainability and improve city competitiveness. Secondly, HCMC will work with each agency and district on their year plans and their leaders' carrying out of commitments with the city People’s Committee. Implementation results of their missions will be used as the basis to estimate their performance. Strict handling or job transfer will be proposed to those breaking regulations or not fulfilling their tasks. Thirdly, the city will improve the process of conducting Public Private Partnership (PPP) projects under BT (Build-Transfer) form; tightly stipulating rights, responsibilities and duties of relevant agencies to harmonize benefits of the state, investors and residents in project areas. In addition, the city will continue investment promotion in some fields such as garbage treatment, hi-tech agriculture and urban planning including canal house removal to attract domestic and foreign investors to key works of the city. The municipal authorities will also speed up equitization of state own enterprises (SOEs); be patient to propose the Government to solve problems from the halt of selling properties on land and land use right transfer according to Decision 09 to create resources to develop technical infrastructures and implement seven breakthrough programs, especially urgent traffic, anti-flooding, environment, urban planning, health, education and social culture works; arrange reciprocal funds for Official Development Assistance (ODA) and PPP projects. Fourthly, HCMC will concentrate resources to execute the Smart City project with priority missions of building a shared database, open data ecosystem, socioeconomic development simulation and forecasting center, Smart City project management center and information safety center. In the phase of 2018-2020, the city will apply some smart solutions meeting urgent needs of the city according to breakthrough programs to bring practical benefits for residents. The solutions consist of fields such as e-government, traffic, environment, anti-flooding, security, health, education and residents’ health. Aside from that, HCMC will continue streamlining the apparatus of the political system, cutting public workforce, improving cadre quality and making clear responsibilities of cadres to prevent them from passing the buck, increasing public payroll to improve the working efficiency of cadres. Residents and businesses will have chances to estimate their satisfaction to the serving of public administrative bodies. Efforts will be made to improve provincial competitiveness index (PCI), Public Administration Reform Index (PAR Index) and Public Administration Performance Index (PAPI) as per resolutions of the city Party Committee and People’s Council. Fifthly, the city will seriously implement the policy of economy practicing and anti-waste in Government agencies, conduct periodical and unscheduled inspections in fields easy to generate negative issues and corruptions, handle violations in a timely manner to fortify the belief of residents to the Party and the State, well conduct resident reception work and tackle complaints and denouncement. HCMC will raise the sense of initiative in providing information on socioeconomic development in a timely manner, listen to residents’ opinions and materialize their ideas to create social consensus, promote national unity to contribute in well performing 2018 missions. On the occasion of the Lunar New Year, the city chairman wished the entire city residents, businesses from all economic sectors, agencies, armed forces and overseas Vietnamese a healthy, happy and successful new year.